Your career journey is a source of inspiration and lifelong happiness. To ensure it is a positive journey the GAP Inspiration Model can help develop the foundation needed for your success. The model starts with addressing your Preservation level to ensure things like stress, financial security, and safety are addressed. That creates a foundation you can build from as you move to the Associations level. That is where you will begin to build positive relationships and support structures. Focusing on friends, coworkers, and other partnerships. By having a support structure that satisfies your personality type you dramatically increase your success. Finally you reach the pinnacle where sustainable growth is achievable. This is where you can build habits that transform your career and inspiration that drives success. The growth level is where you want to be but isn’t truly achievable with shortcuts or motivational slogans. The preservation stage in relation to your career represents the basic needs of who you are as an individual. This is an internal focus on things such as; financial, safety, health, security. All the things that make you stable and basic happy. The goal of the preservation stage is to develop your purpose at work and your career. What is it that brings you fulfillment and makes you feel like your work is contributing to your life. The association stage in relation to your career represents all your social connections. These are friends, coworkers, networking, and even things like email/IM. They all have an impact on your association stage, positive and negative. The goal of the association layer is to build positive social interactions and partnerships. You want to build a positive social network that fuels your growth at work and in life. Those associations will help you develop a positive career path. Your career, growth stage, is where you are ready to make life altering transformations. The kind that are sustainable and will be with you for a long time. This is achievable br developing the foundation that will empower you. The goal of the growth stage is to be inspired by your associations and by yourself. It is where you will apply new habits, new skills and where you should look for new opportunities with work and career. The GAP Inspiration Model brings together the primary parts of who you are; Life, Work, Career, and Business. When developing a specific habit or aspect of your life, focus on a combination of those parts. That creates holistic balance ensuring long term success, not short term change. It is our unique approach and your tool for achieving your Career Coaching goals. The GAP Inspiration Model brings in focus the various aspects of what creates your happiness. Each area represents a part of you and each can have the GAP Inspiration model applied to it. When focusing on your career you need to also bring the other areas into focus. Those areas directly support your life in ways that can enhance your progress or cause challenges if they are out of balance. When applying the GAP Inspiration model you focus on life and work, as those are the primary areas to support your growth. You apply all areas to ensure that growth is sustainable and balanced. We are an active and proud member of the exclusive, invitation only, Forbes Coaching Council. Our career coaches are experts in their fields and maintain the highest levels of excellence. When selecting a Career Coach you want someone that has recognized experience. 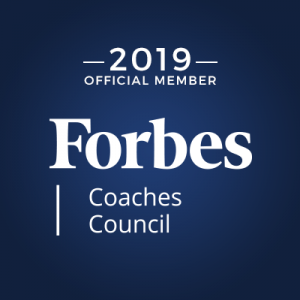 To be part of the Forbes Coaching Council you must be recognized by clients, other coaches and business experts as someone that operates with excellence. "A career is vital to how much passion we feel for life. A career isn't just a corporate position, it is the thing we do to fulfill and sustain ourselves." "Transformation isn't a failure, in most cases it's a signal of growth and a new chapter your life. It isn't something to be feared but to be embraced and celebrated." "Networking is a skill and something that needs practice to master. You can't just go to an event and "network" it won't deliver you any value. You have to first create a partnership on trust and respect."